'Big breaking news', a WhatsApp message advertising the police protest said. 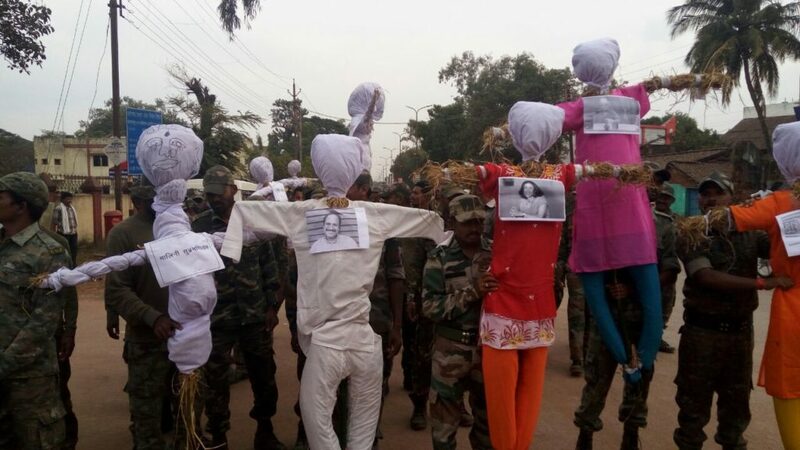 "In Kondagaon at 3:30 PM, the police will burn the effigies of Nandini Sundar, Bela Bhatia, Manish Kunjam, Himanshu Kumar." 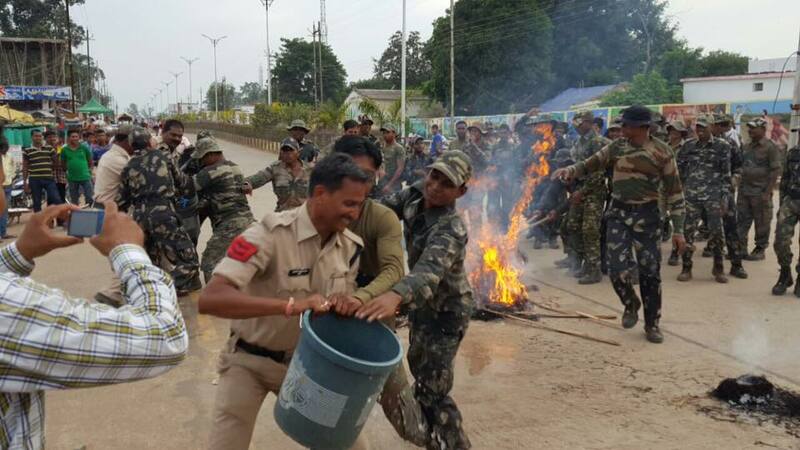 New Delhi: Burning the effigies of opponents may be a common enough practice for political parties in India but in a first, uniformed security personnel in Chhattisgarh on Monday symbolically burnt mock-up versions of two petitioners who have moved the Supreme Court against police excesses in the state, three social and political activists who have been critical of human rights abuses and a journalist who was forced out of the region for reporting on state violence. The police action comes two days after the Supreme Court took note of the fact that the Central Bureau of Investigation had filed a chargesheet against seven former special police force officers (SPOs) – now renamed armed auxiliary forces – for attacking and burning adivasi villages in Tarmetla between March 11-16, 2011, and 26 former Salwa Judum activists for attacking Swami Agnivesh on March 26, 2011, when he tried to reach those villages for an independent investigation into the incident. The inspector general of police, Bastar range, S.R.P. Kalluri, held a press conference on Sunday in which he claimed that the adivasis’ houses had caught fire on their own because of extreme heat and due to cross fire – thus contradicting his own police FIRs that had claimed the houses had been burnt by Maoists. He also made intimidatory comments about the petitioners. 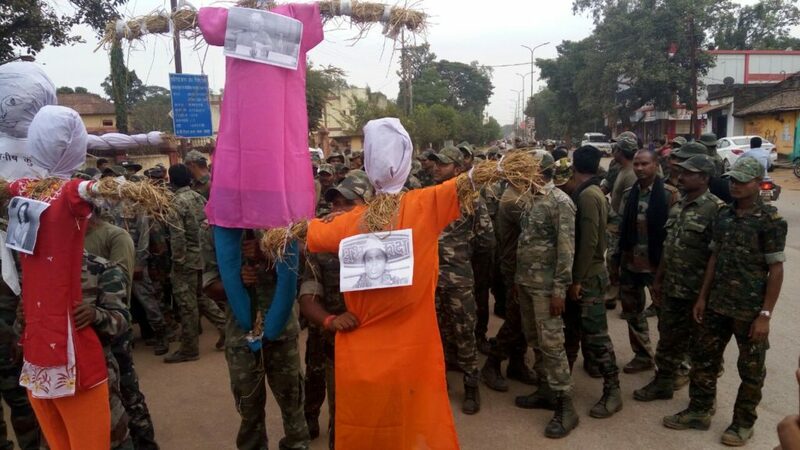 Spurred by this, there was a coordinated campaign by armed auxiliary forces personnel across Bastar range on Monday afternoon in which they burnt the effigies of two of the petitioners who had approached the Supreme Court – Communist Party of India leader Manish Kunjam and Delhi University professor Nandini Sundar – as well as social activists Himanshu Kumar and Bela Bhatia, Aam Aadmi Party leader Soni Sori and journalist Malini Subramaniam, who was the correspondent for Scroll in Jagdalpur before she was forced to leave Bastar following mob pressure. 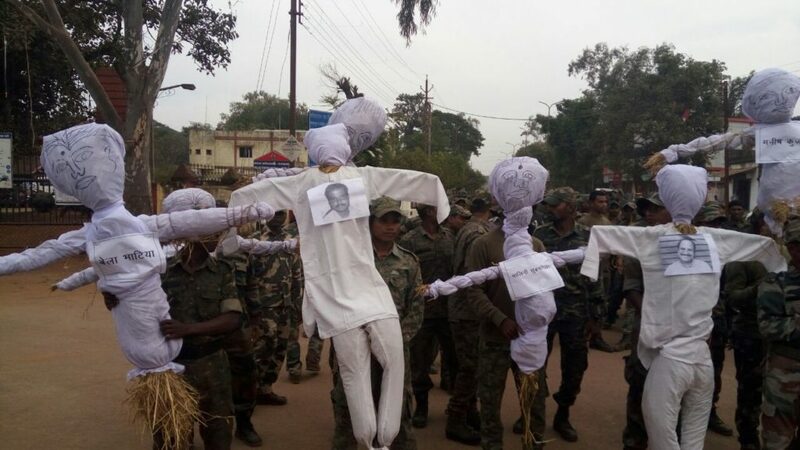 After the effigy burnings, say sources from Bastar, the police and armed auxiliary forces men marched through various towns in a show of strength.